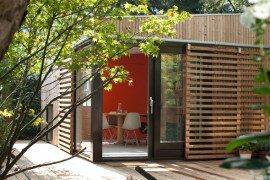 XfactorAgencies has a one of a kind office extension to the house. 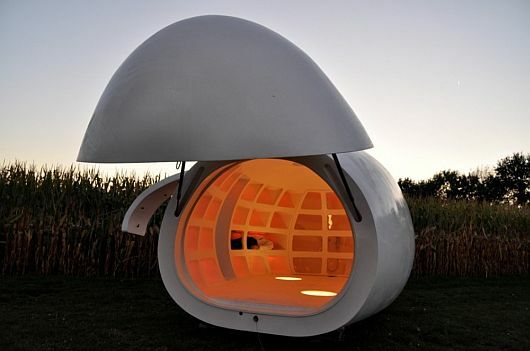 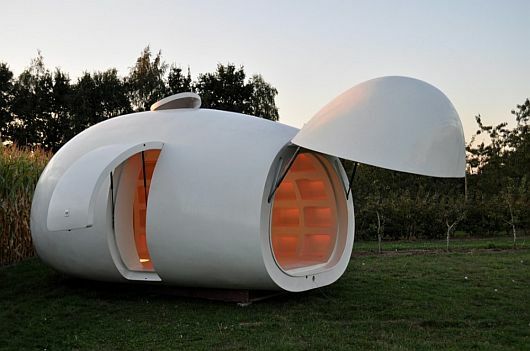 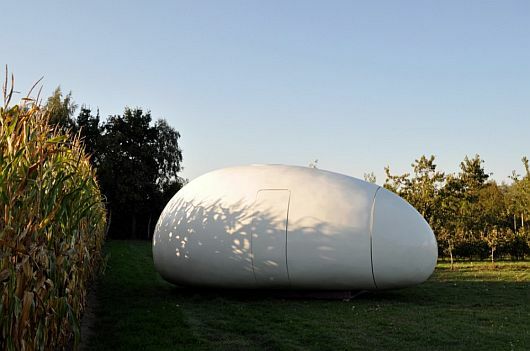 The Blob VB3, an eggshell-like construction has only 20 square meters, but it is smartly compartmentalized for an optimum storage and living space. 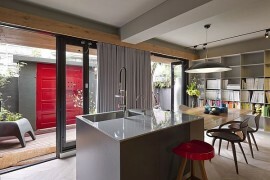 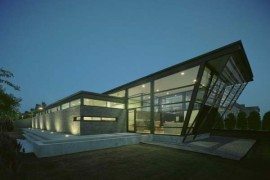 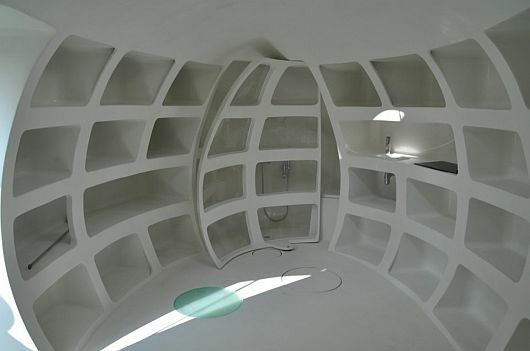 Architects dmvA constructed a round space complete with a bathroom, kitchen and bedlike storage niche. 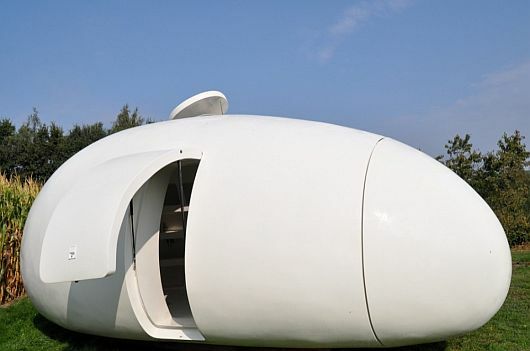 Easily movable and with a smooth artistic form that automatically opens from the nose, the Blob VB3 is a strict necessity living quarter/office. 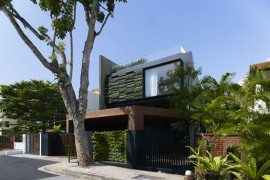 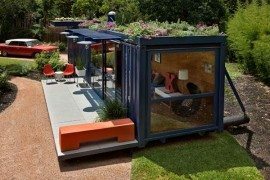 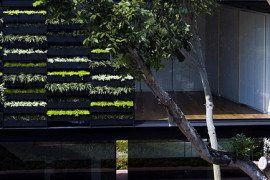 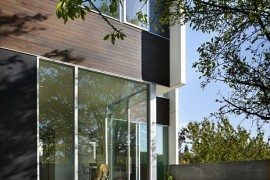 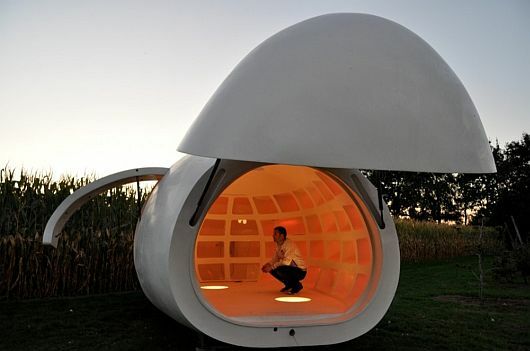 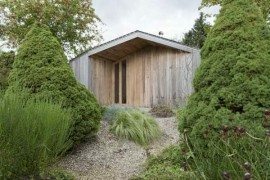 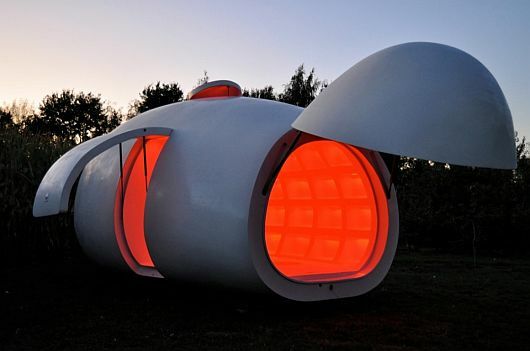 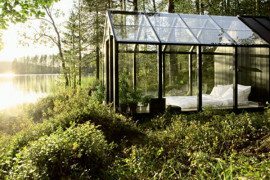 Although it can also be used as a guest house or a garden tool shed, the egg-like building is a modern clean-looking addition to a yard that makes use of space in a more artistic way. 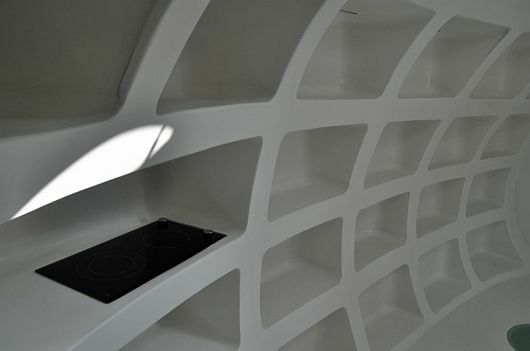 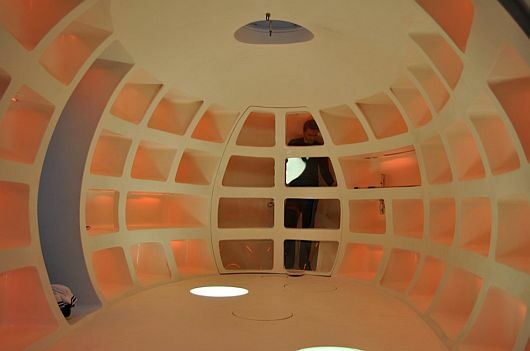 in 18 months, the structure transformed from a dream to a polyurethane mobile unit.